Ever wondered how an Indian family spends Holi, the Hindu festival that welcomes spring with a splash – OK, many splashes – of colour? 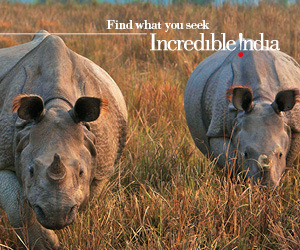 Find out on an exclusive trip that begins in Delhi before heading to Jaipur. First, you’ll visit the stunning pink Palace of the Winds, Amber Fort, the Royal City Palace and the city’s astronomical observatory. The next day the preparations begin. You’ll shop for water pistols, glitter, dry colours and water balloons at the market, take in a Bollywood movie then go to Holika Dahan, the bonfire that kicks off the celebrations the night before. Then it’s time for dinner with a local family and an early night because the next day you’ll need all your energy for the pelting of water and colour that symbolises this amazing festival. The tour finishes with a day in the rural village of Karauli and a visit to the famous Taj Mahal. Delhi and Jaipur are in India’s north. Go with My Adventure Travel from US$789. The eight-day Holi Festival tour leaves Delhi on 10 March 2017.